Native War Paints has created the Copper Penny collection, inspired by their Road to Polish Con polish, Broklyn. Each polish in the Copper Penny collection is packed full of copper shimmer. If you love shimmery things, you won't want to miss these. The pr-eorder for the Copper Penny collection begins on 2/17 and runs through 2/26. 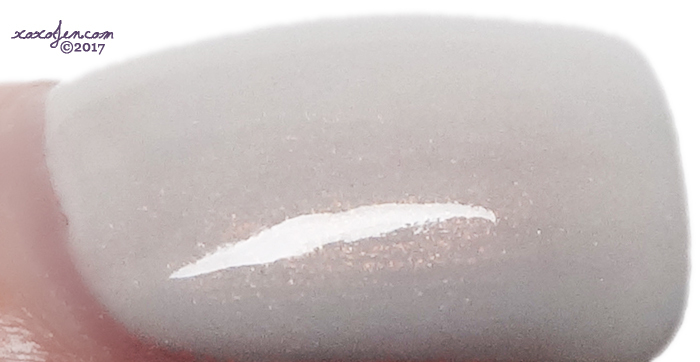 Moneypenny is a pale lilac with copper shimmer. It's beautiful and delicate, and a perfect springtime shade. The bright lighting of my set up washes out the copper shimmer in straight on photos, but it is definitely visible in most lighting situations. I was inspired to try decal making and decided to stamp too. The result made me happy since I love pandas and the color purple. Copper Mugs and Moscow Mules is a super pale grey with copper shimmer. Like the shade above, the shimmer is difficult to see in my light set up, but is more apparent in most lighting. It was close to Valentine's day when I stamped this one, and I had to try out my signature stamp to see how it looked. What do you think? 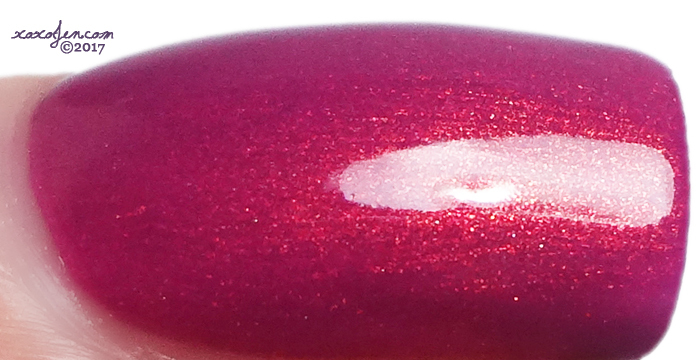 Penny, Penny, Penny is a vibrant fuchsia with copper shipper. Shades of raspberry leaning pink tend to go well with my skin coloring and this is no exception. I enjoyed this color quite a bit! My Favorite Copper Sweater is the copper shimmer version of NWP's My Favorite Sweater and My Favorite Sweater and Jeans. 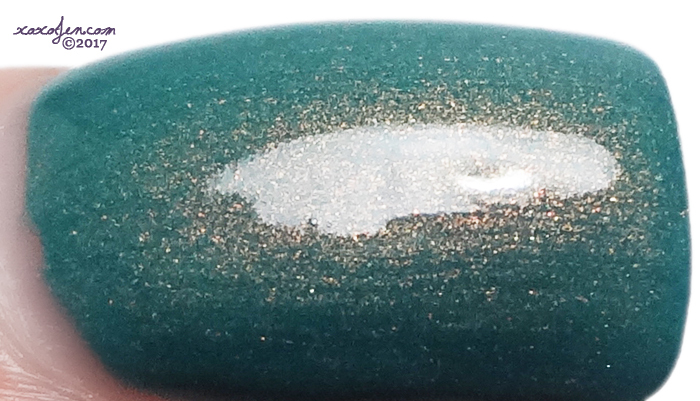 A teal with copper shimmer that dries matte. I wore a glossy top coat for shine. 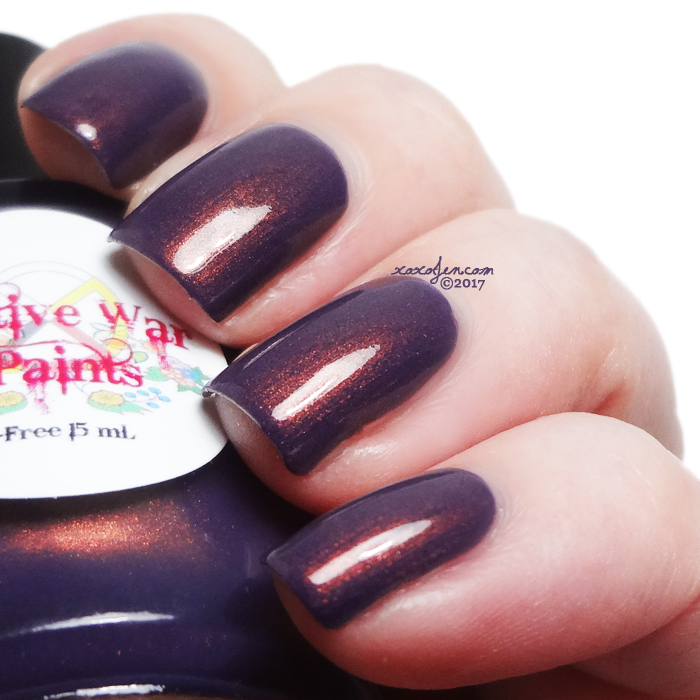 Penny for your thoughts is a deep purple with copper shimmer. This is my favorite shade of the bunch. It looks smokey and mysterious, plus it's purple. Absolutely stunning and color morphing depending on the lighting. I'm still wearing this shade. 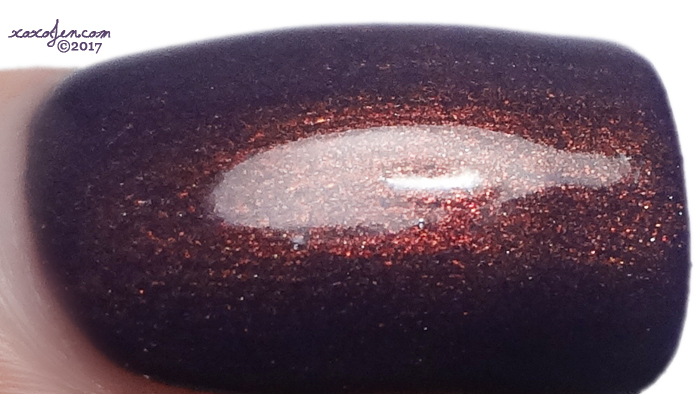 Copperpot is a dark blue with copper shimmer. The base is so dark that I thought this was a slate grey before having read the description. The copper shimmer pops against the dark base. I wore two coats of each shade, but with the thickish formula you may be able to get away with one on the darker shades in the collection. I'm challenged when it comes to polishing with thicker consistency polishes, so I added some thinner to them. 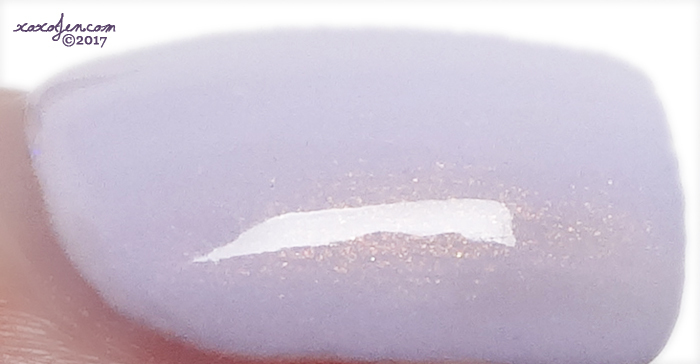 It's kind of cool that the polishes have this flexibility in that we can choose to add thinner or keep it thick. If my review was helpful, leave a comment and follow me on facebook for more reviews. These colors are very nice!